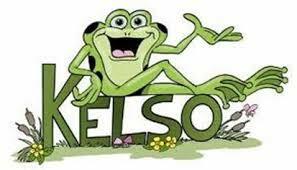 Kelso the frog teaches students how to solve “small” problems on their own. “Small” problems include conflicts that cause “small” feelings of annoyance, embarrassment, boredom, etc. “BIG problems” always need to be taken to an adult. These are situations that are scary, dangerous, illegal, etc. Kelso’s Choice effectively teaches young children peace-making skills. It is a proven resource to increase confidence, reduce tattling and is a preliminary tool to prevent bullying. About Kelso’s Choice: The program is a powerful and timely tool to build a vital life skill for the young people in today’s world. The program philosophy is simple: each child is smart enough and strong enough to resolve conflict. Unlike some programs which tout peer mediators who are trained to intervene as conflict managers, Kelso’s Choice assumes that all young people are capable of becoming peacemakers. 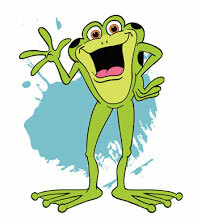 Kelso’s Choice empowers children to solve problems on their own with the guidance and support of trusted adults. 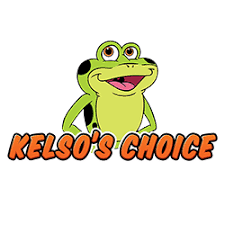 Most schools implement Kelso’s Choice on a school-wide basis including teachers, classroom assistants, administrative staff, custodians, and cooks in the process. When all of the adults in a school ask students to follow the guidelines of the program, clear, consistent and firm expectations result. In addition to being used in school-wide programs, Kelso’s Choice is often presented to small groups of students or used during individual counseling either to reinforce the lessons taught in the classroom or to provide problem-solving techniques. The material has been successfully adapted for use with diverse student groups, including students experiencing physical, behavioral, learning, emotional or psychological challenges. The program has also been proven effective when teaching anger management skills and impulse control. The basic program consists of 23 lessons, with 16 additional reinforcement activities for review and reinforcement. Typically, classroom teachers or guidance counselors present the material. Within the core program, students are first taught to discriminate between “big” problems that must be shared with an adult, and “small” problems that they can resolve. 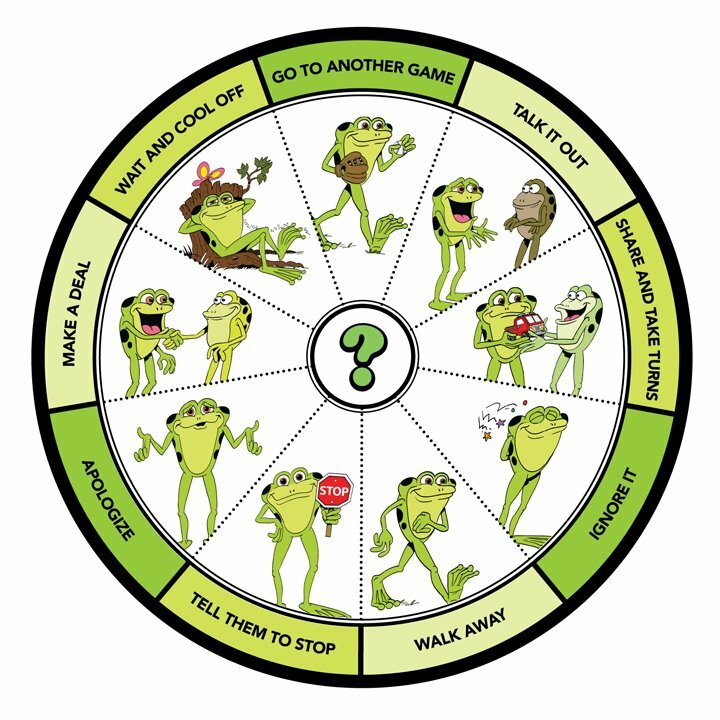 The program encourages students to try two choices from “Kelso’s Choice Wheel.” If the “small” problem persists, they are told that adult intervention is warranted. Because terms such as “Ignore” are linguistic in nature, each skill is reduced to distinct operational skills, so young learners understand the meaning and function of each behavior. The sequence of the lessons is flexible, and allows for the age and experience of the students. Activities include having younger students illustrate huge colored chalk circles of “Kelso’s Choice Wheel” on the playground and having them create clay dioramas of animals who are solving their conflicts using the nine skills. The key benefit when talking about Kelso’s Choice is that you can pace the learning for your students. In other lessons, older students are role models who act out viable solutions to conflict situations suggested by younger students, or they create individualized conflict management “choice wheels” in which they identify actual situations in their lives that require conflict management skills. Total Body Response, or auditory, visual and kinesthetic learning activities are provided, as are all levels of learning mastery, from simple identification through synthesis. One remarkable and useful thing about Kelso’s Choice is that all learning types are addressed. 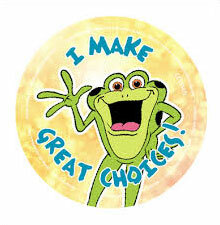 Throughout the lesson, two important messages are presented: every student can make good choices (not just student mediators) and every student can make the choice that fits them best. What’s most special about Kelso’s Choice are the thousands of counselors, teachers and children who help make it the vibrant, growing community it is today. We are delighted to hear the many stories you share with us about how Kelso’s Choice made a difference in your classroom, your community and your life.